But, it’s unlikely that these will halt the slide. On balance, there is a very strong possibility that refiners will reduce capacity at a significantly higher rate than Total’s 10-15%. I highlighted this depressing picture in my closing address as Chairman of day two of the recent Platts European Refining Summit Conference. The theme of this year’s conference was ‘European Refining in a Rapidly Transforming and Global Market’ and, for Europe the rapid transformation is very much one of decline. The recession certainly made a big impact, not least the over-capacity in the Middle East and Asia, caused by a construction boom built on over-confidence in the market pre-2009. Compounding the rising gasoline and diesel imports from these regions is the abundance of tight oil (shale oil) in the US which has led to a reversal in the trend for gasoline imports. Although the US is not allowed to export tight oil, it can export products made from it. As a result, the US is now selling some of its excess gasoline to Europe along with diesel, which it didn’t export previously. With the continuing upward trend in diesel – the majority of new cars have diesel engines – it was anticipated that much of the extra demand would be met by Russia. Certainly the major Russian oil companies thought so and planned upgrades and expansions in the region of $50 billion and more, with the underlying strategy of exporting diesel to Europe. However, it appears that Russia failed to take account of refining expansion in Middle East and Asia, or US tight oil. Also the recent sanctions in the financial services sector have hamstrung the country’s ability to fund mega projects, which means that Russian oil companies may have to revise their investment plans and make do with lower cost, less ambitious programs. On a positive note for gasoline-biased refineries, major car manufacturers are sticking to gasoline engines for small-to-medium-sized vehicles, since gas engines cost less to run than diesel. This means that the market for diesel could eventually plateau. 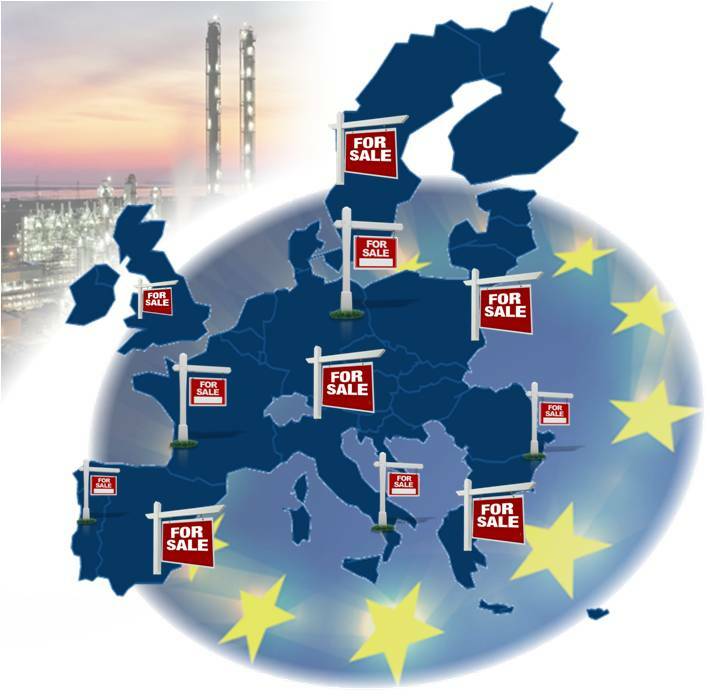 But, in the short term, European refineries, particularly those with an emphasis on gasoline, will continue to be under threat of closure.